Home/BLOG/Home network issues? We have solutions! In this day and age, nearly everyone uses the internet at home. From Facebook, to Amazon, to research, to streaming Netflix or Hulu, almost every home has some level of access to the internet. We also understand the frustration of an undependable or glitchy network connection. You’re sitting at home, watching a movie with your family or spouse, and all of a sudden..
One of the most common problems we’ve all experienced, is as you and your devices get further away from your router the strength of the signal diminishes. This causes slow load times, buffering, high blood pressure, and complete drops in network connection to devices. Sometimes even purchasing a new, more powerful wireless router won’t solve these problems. Thankfully, our team here at Stereo & Video Center in Tyler Texas offers advanced home networking options that can help or even solve your at home internet woes. All of which are installed by our in house networking experts after a thorough consultation. We will design and setup the best solution for your home. Sometimes the equipment provided by your internet service just isn’t up to handling the load of your home network needs. We offer more powerful equipment with proper setup. All tuned to meet your at home requirements. When a wireless router just can’t reach far enough, that’s where access points step in. They especially help in multi-story applications or back patio areas. These extend and boost the current signal from your router or can be hardwired for optimal performance in areas of low signal and speed. These are the most popular solution for outdoor buildings, shops, boathouses, or the mother in law’s house. Think of it as a tether between two buildings. On one end is your existing network, on the other is the building that has none. It amplifies and rebroadcasts a “new” network inside the building you want service in. When the power goes out, so does your internet access. Adding a battery backup not only keeps your router(s) safe from unsafe shutdown due to power outage, but allows you to continue using your network for a short period. Especially useful if you work from home. Most people opt to connect their smart TVs, gaming systems, computers and other devices wirelessly through the wifi network. 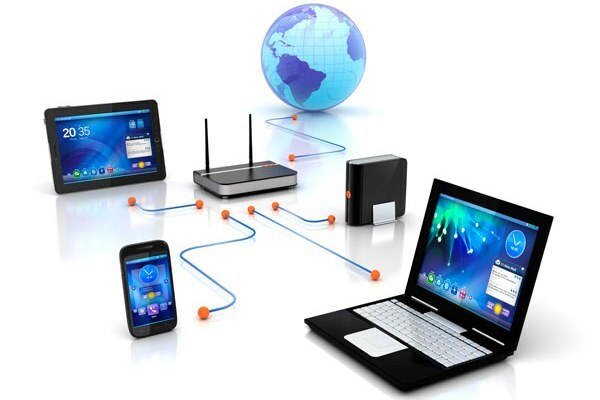 The benefits of a network drop straight to a device is consistent speeds and reliability through a hardwired connection. This can also reduce the load on your existing wifi and possibly speed up wirelessly connected devices. If you think any of our solutions could solve your at home (or business) networking issues, give us a call! Our experts do free consultations within the Tyler Texas area and would love to help. We look forward to working with you and optimizing your home or business network experiences!